We will help you to choose the best digital solutions for your need and have new opportunities for your brand visibility. Especially the importance of content marketing is rising in digital channels, where the number of everyday messages is continuously growing. We will crystallise your message and create visuals that speak directly to your target audiences. We will also make sure that these messages look good both in mobile and desktop environments. 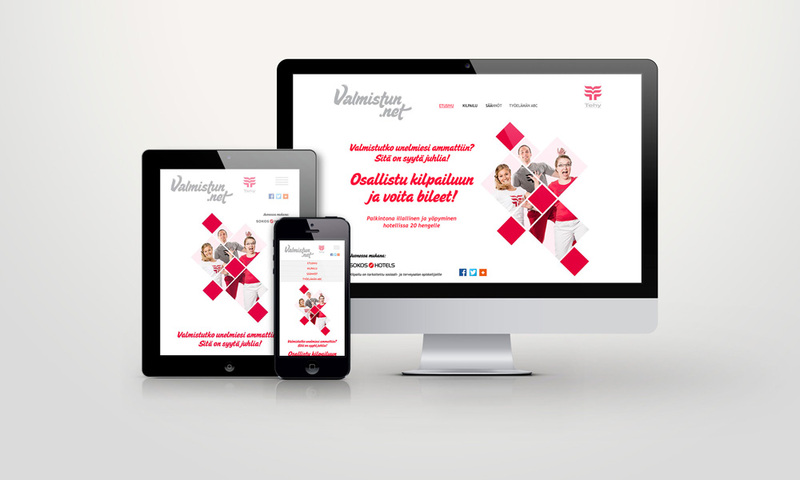 We design and create modern, high quality and mobile-friendly web pages. During design and implementation we take into account requirements of different devices and browsers. We also take care of maintaining the web page content when necessary. In e-commerce solutions, we design functional and easy-to-use interface according to your need. Do you need new outstanding pages for your brand that gain attention and make your target group want to look more for information? With landing pages and campaign pages we will target your key messages in the most outstanding way. With well-planned designs these two solutions will improve your company’s search engine optimization. Brands that operate in social media and digital business environment need strong visual look. We design marketing materials and visual communication for your social media channels and advertising networks in accordance with your brand. For example, we have implemented various launch and promotion campaigns, as well as, more long-term, goal-directed brand visibility. Interactivity gives brochures and catalogues more lively approach and guides the reader to the content you want. For example, we can create links and tutorials to web sites, as well as add interactive images and video material. With interactivity you can provide additional value to your brochures. 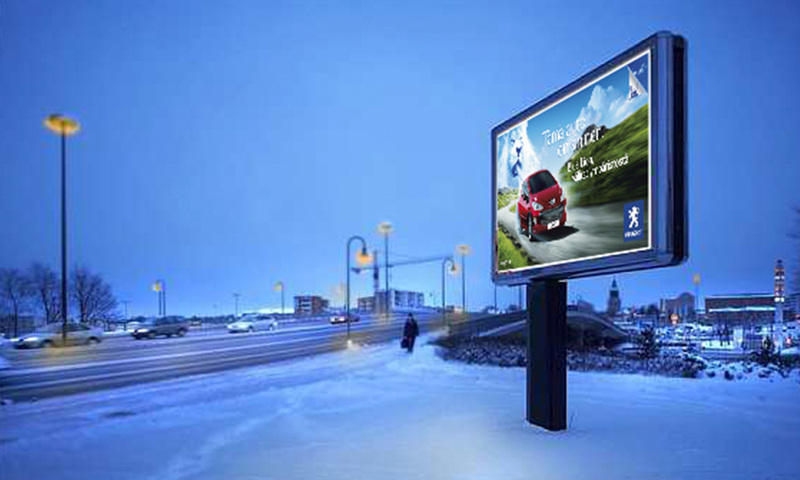 Digital outdoor advertising (DOOH) is smart and dynamic advertising format. 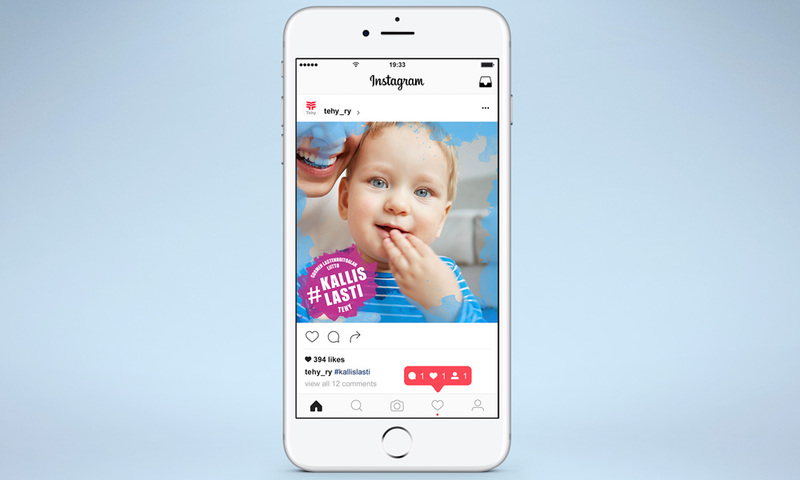 The benefits of digital outdoor advertising include the ease of content design and modification, and the media’s close connection to target groups. We can easily customize print advertising campaigns for digital outdoor advertising formats.